The Rebel Sweetheart. 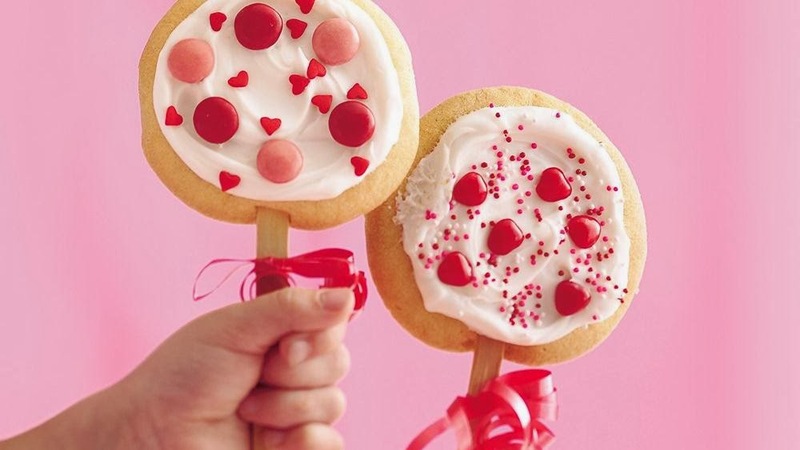 : Foodie Goodie | Valentine Cookie Pops. Ah yes, Valentine's Day. It's that time of the year again. Flowers and chocolates become abundant, Cupid, hearts, and all things red can be found everywhere, and businesses make a killing from lovebirds and romantics who dish out tons of money to celebrate or profess their undying love. Now if you're the kind of person who likes giving gifts with a personal touch, here's something for you. It's an easy-breezy cookie recipe with ingredients that don't cost too much, either. Moms (or dads) can even try making this with their kids. I bet the little ones will have lots of fun decorating this sweet treat! 1) Heat oven to 350°F. 2) On ungreased cookie sheets, place cookie dough pieces 2 inches apart. 3) Into side of each piece of dough, insert wooden stick 1 inch, overlapping wooden sticks as necessary. 4) Bake 12 to 16 minutes or until edges are light golden brown. 5) Let it cool for about 2 minutes before removing from cookie sheets. The allow the cookies to cool completely for about 10 minutes. 6) Spread frosting on one side of each cookie; decorate with candies. 7) Tie 18 inches of red ribbon into bow around each stick next to cookie.Wrap in clear cellophane if desired. 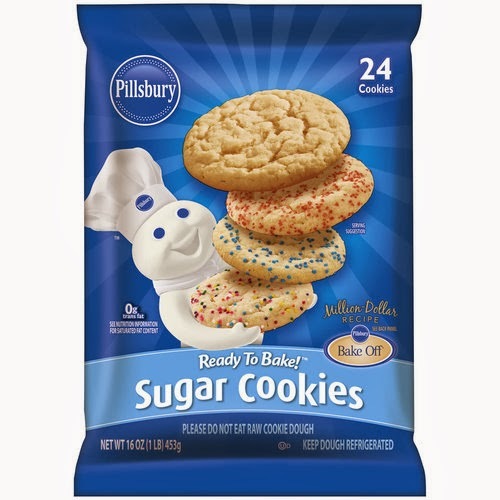 As seen on Pillsbury Recipes. Shared with Food Friday and Food Trip Friday. And because it's Valentine's Day, here are some fun facts that are too interesting not to share. - South Koreans have a romance-related day for every 14th day of the month. For February 14th, the day recognized as Valentine’s Day in many countries around the world, women give chocolate to the men. 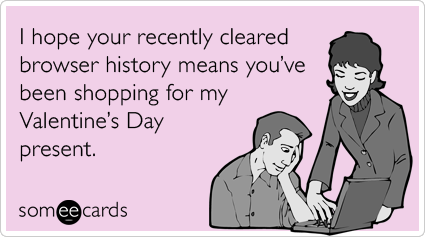 In the same way, men give candy to women on March 14th, which they call 'White Day'. Those that do not receive any candy drown their sorrows on April 14th, mourning being forever alone. This day is referred to as 'Black Day' and singles go to eat black noodles at a restaurant. These noodles represent the woe of singleness. - 73% of people who buy flowers for Valentine’s Day are men, while only 27% are women; 15% of U.S. women send themselves flowers on Valentine’s Day. - Approximately 110 million roses, mostly red, will be sold and delivered within the three-day Valentine's Day time period. - The most fantastic gift of love is the Taj Mahal in India. It was built by Mughal Emperor Shahjahan as a memorial to his wife. - In the U.S., 64 percent of men do not make plans in advance for a romantic Valentine's Day with their sweethearts. These are super cute! Wish I'd seen your pot earlier, so my son and I could have made these for his Valentine instead of buying something store-bought. Oh well, next year nalang! Those look so yummy & cute! My kids would love those! This is very creative and the cookie pops are so cute. Those are really cute. I have to try them. ps. natawa ako dun sa info regarding certain percentage of women who send themselves flowers on vday! lol.